Any person injured in an auto accident in Illinois may pursue the at-fault party to recover for his or her physical or emotional injuries, as well as property damages. As with other personal injury cases, a plaintiff (injured person) has the burden of proving that the driver's negligence is the cause of his or her injuries. After proving causation, an injured person may seek monetary damages for ailments and future injuries arising from the accident. While the specific amounts of damages may vary from person to person, damages are usually thought to consist of economic and non-economic damages—both for situations incurred shortly following the incident as well as those expenses that are likely to be incurred in the future. Usually, the specific amounts of each of these elements of damages are only determined in situations when a jury is hearing the case, in which case, the jury determines the amount. Schaffner v. Chicago & North Western Transp. Co., 161 Ill. App. 3d 742, 749 (Ill. App. Ct. 1st Dist. 1987). In most Illinois car accident settlement cases, a global settlement is usually reached. A global settlement agreement includes all types of damages in the settlement amount without naming a specific amount for each portion of damages sought. This case involved some common defenses. The setup of the whole thing was typical of car accidents too. Illinois sees thousands of them each year. This specific suit took arose on the south side of Chicago. It was brought and settled in Cook County. A driver hit a pedestrian on 66th street. The victim was in her early 70s. She suffered a head wound. The pain left her with lots of memory loss. Also, she had issues with her gait. On top of that, she racked up close to half a million in medical bills. The driver was working for a large insurance company at the time of the car crash. When the woman sued the driver, she claimed he was working at the time. This is important because it’d allow her to seek compensation from the company. This opens up much deeper pockets. Naturally, the business claimed the driver was an independent contract. Thus, it tried to cut off any liability. In this dispute, it’s pretty simple for a plaintiff to figure out if he’s a worker or contractor. You look to control, benefit, and assent. Here, those all pointed towards an employee relationship. Once that became clear, the defendant moved to settle. This would avoid a large verdict from a sympathetic jury. As it turned out, the woman still recovered nicely. She received almost $2 million in the private agreement. This exceeded the average for pedestrian and car crashes in Illinois. This case largely focused on damages. It really didn’t contest the issue of fault. The plaintiff was a young mother. She was in her late 20s. Her car sat at an intersection in Chicago. The defendant’s car rear-ended hers. The force sent her vehicle into the section where it got hit again. She sustained head and back problems. She contended these caused other problems including nerve damage. Though she wouldn’t claim long-term financial loss, because she was a stay-at-home mom, she did assert long-term pain. She sued the driver and the driver’s employer. The man was working at the time when he crashed into her. This meant she could go after both of them for damages. Damages include all of the pain and financial loss that an incident caused you. Soon after the case began, the defendants agreed that they caused it. What they differed on were her damages. They disagreed with her medical assertions. They claimed it wouldn’t aggrieve her that long into the future. Basically, they said she was exaggerating her injuries. Since they couldn’t compromise, they went to trial. It was left to a jury to sum up her pain. They arrived at $1,610,000. Here’s how they got to that number. $550,000 for past/future suffering and pain. $550,000 for the loss of a normal life. This case was so interesting because the plaintiff contributed so much to her own injuries. She was laying on the street, intoxicated when a cop car ran her over. She broke her pelvis and other bones. She also suffered various personal injuries. She brought a suit against the city for her pain, disability, and bills. As you can expect, the city cried foul. It said she was more than 50% at fault for the event. Thus, she shouldn’t be able to recover at all. The woman offered her own version of events. Not denying that she played a part, she still claimed the city owed her in due course. The defendant refused to settle. It maintained its innocence to the very end. At the end, a jury came down along the middle. It gave each 50% of the blame. This was a sigh of relief for the woman. This meant she could recover. Yet, her award was cut in half. The $265,000 figure was what remained after the reduction. It applied to her economic and non-economic losses. The city moved to appeal after the jury’s decision. This was a turning incident that happened in Lake County, Illinois. The plaintiff (female, 46) was driving down the highway when the defendant turned into her lane. This forced her to slam on the brakes. That’s when the problems arose. She hurt her elbow, back, and neck. Also, she aggravated a previous foot injury. Her doctors that would require further treatment. All in all, she had to pony up a lot for medical bills. Further, she expected sizeable pain in the future due to the event. The defense claimed that her injuries exaggerated. Alternatively, they offered that they arose from some other source. Even the foot injury stemmed from a childbirth incident. These obstacles were hard for the plaintiff to overcome. This is reflected in the low settlement value. It was just about four times higher than her medical bills. This trails the typical ratio by a great amount. This case got murky because the victim died soon after the car crash. He was elderly and suffered a number of problems before it occurred. He was 77 to be exact. He was leaving a hospital in the south suburbs of Illinois. A medical sales rep was pulling in and hit him. He broke his rib and needed a bunch of surgeries. While in treatment, he had a heart attack. He died not long after that. Apparently, the woman driving the car that his him was on the phone when it happened. Cell phones account for a number of car crashes. This one was no different. Yet, the estate didn’t make the strong claim that it was why he died. He was very ill already. 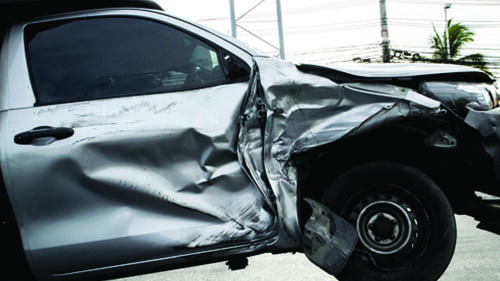 They asserted typical car accident claims such as medical bills, pain, and other things. The pain portion of their claim was for the suffering he had while alive. The defendant wasn’t in a strong position to negotiate. It was the woman’s employer because she was working at the time. It knew that it couldn’t really say it was the man’s fault. All’s there was to do was whittle them down on damages. It did that successfully. It came in under the average. This probably reflected the man’s simple injuries. Also, he had significant pre-existing problems that materially affected his health. Many people injured in Illinois car accident cases believe that they can handle their case on their own. While this may be true in a case where damages are minimal, auto accident cases involving serious injuries generally require the work of a lawyer in order for the value of the case to be maximized. Rosenfeld Injury Lawyers LLC has helped thousands of people recover the financial compensation they are entitled to following a car accident. All of our cases are handled on a contingency fee basis, meaning there is never any out-of-pocket cost to hire our firm.